When performing abdominoplasty, the umbilicus may be injured by devascularization and necrosis. 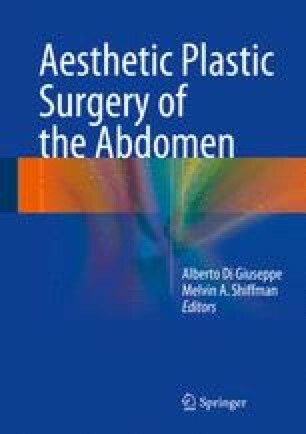 In a full abdominoplasty, the umbilicus must be replaced into the proper position on the flap and many times the scarring is visible. The authors describe a procedure for umbilicoplasty that does not have visible scars and can be used for neoumbilicoplasty when the umbilicus is injured.